The online user survey summarized that: 67% Buyers are interested in describing the product image, about 64-85% agreed payment for goods after watching the video on the website illustrates sale. Construction sales intuitive website will attract customers. 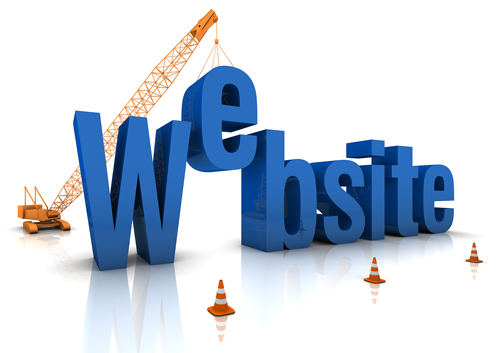 Create a website selling very easy but effective for the business will not come immediately. For the successful online store, sellers need a certain number of tricks to improve business operations. First is the product page, the most important part on the sales website. Not just a place to inform and attract buyers smart, a good product page will be optimized for the search engines can easily find your website and bring more potential customers, improve sales sales. Product name should be descriptive so customers know exactly what you want to sell. This also helps increase your rankings than the lack of detail on the website search engine. For example, you name the product is "Thai Tea" will be approximately 2 million search results on Google, but if you put the name "Xinjiang Special Tea" is just over 340,000 results, reducing 1.6 million competing websites. An additional benefit is that when customers search for specific keywords are more likely to buy than they are compared with those looking for more general keywords. Product description is the key to increasing sales. You are providing our customers with the information they need to make decisions to buy. Search engines like Google product descriptions unique, quality content. Investing a little time to detail items will help increase your website ranking on search engines and there are many opportunities to find potential customers. A description of the product include: general description, specifications, parameters, the benefits of using the product, incentive / promotional ... The contents do not necessarily too long but full of information that customers interest. They can become very monotonous and less attractive without illustrations. Pictures will help customers better visualize product. Online shopping experience through visual basic. To be able to attract your customer, product images must really beautiful and impressive. The consumer survey online to find a third time shopping is to look at the image and 67% of consumers interviewed evaluate the image quality is "very important" when deciding to buy. The use of large images will help customers can see the product in more detail, feeling like they are shopping in real space. Try to get the most professional image possible, using simple backgrounds, angles and lighting fair will highlight your product images. Evaluate product features help to build trust and increase opportunities transition from the conventional view of real customer. One study showed that 80% of consumers consult evaluate before buying and if you add them to your website can help sales increased to 18%. Video is a great way to introduce the product and make buyers feel like they are being introduced directly yourself. Not only that, but video will drive more people to your site through the search engines, help your website a chance to show on the first page of Google search doubled 53 times. Search results video with higher click-through rate of 41% compared to the text, the consumer the opportunity to buy the product after watching a video introduction ranged from 64% to 85%. If you're lucky, you'll be introduced product video available from the manufacturer. But another option is to do for yourself, Google loves unique content. Nowadays with cheap cameras and editing enamel products easy to use, you can not difficult to create a video of their own. Let's start with a scenario: a list of what you want to express, do not need to bring anything but complete it helps you in the right direction. Information shown includes the main part of the product, should be brief. According to research, a video demonstration is best about 30 seconds, if more than three minutes efficiency will decrease. Presented product is not only stood and introduced the list of features. When you mention a product feature please to see how it works.